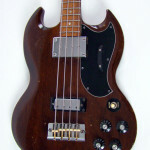 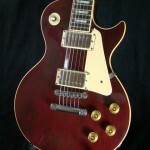 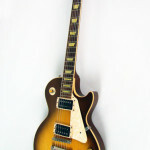 Features the famous '61 Gibson neck profile as favoured by Jimmy Page of Led Zeppelin. Pure P-90 power with glorious vintage tones and incredible playability. 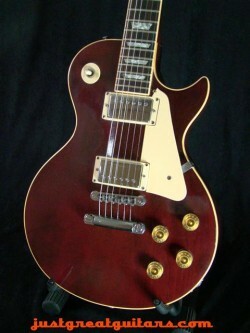 A true Gibson classic. 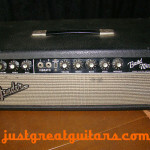 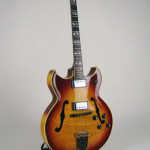 Check out our new video demonstration of this guitar below. 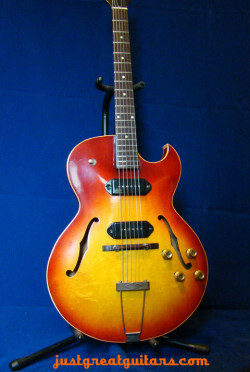 JGG have long been fans of the ES-125 and it remains one of our most popular models of Gibson guitar. 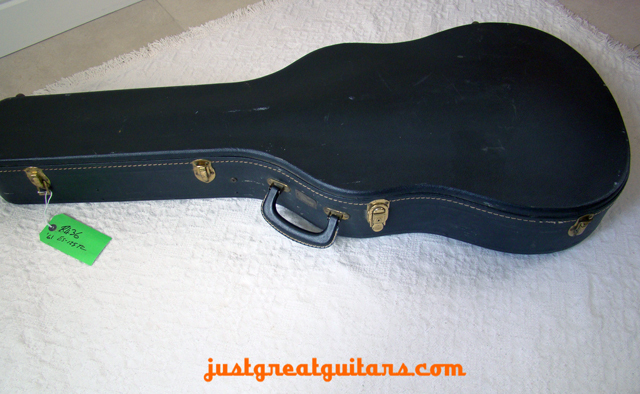 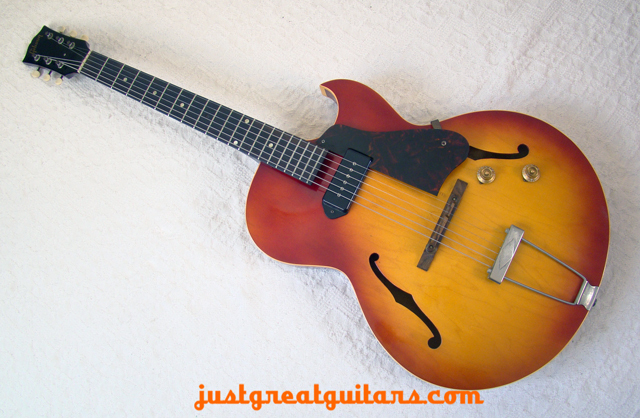 It has great versatility and works well in almost any style of traditional guitar playing, from Blues and Rock through to Jazz and Swing styles. 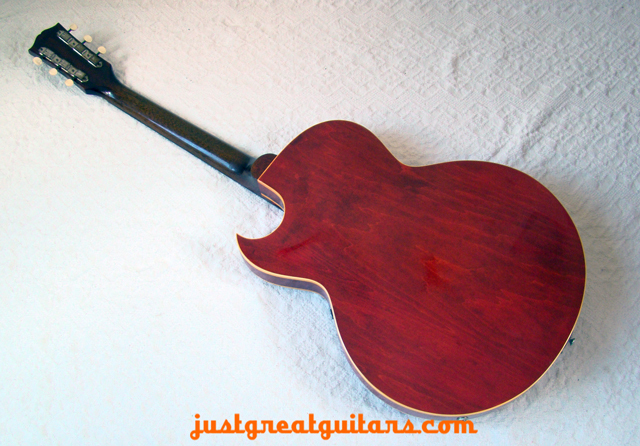 It also sounds incredible acoustically as well as plugged-in. 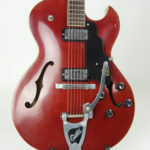 This ES-125TC guitar features the highly sought after ’61 neck profile, offering a slightly wider and flatter radius that found favour with many guitar players including Led Zeppelin’s Jimmy Page. 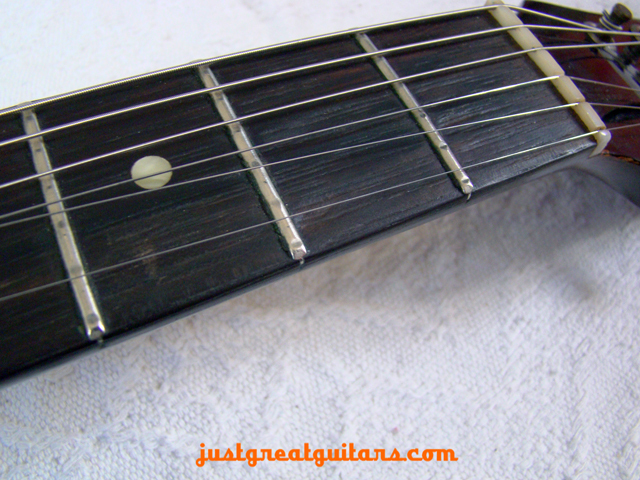 You really have to try this neck to fully appreciate why it plays the way it does and we certainly share JP’s affection for it. 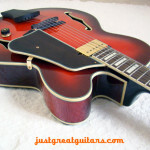 Chords and single-lines alike are very comfortable to play and thanks to the adjustable compensated bridge you can set the guitar action up exactly as you’d like too. 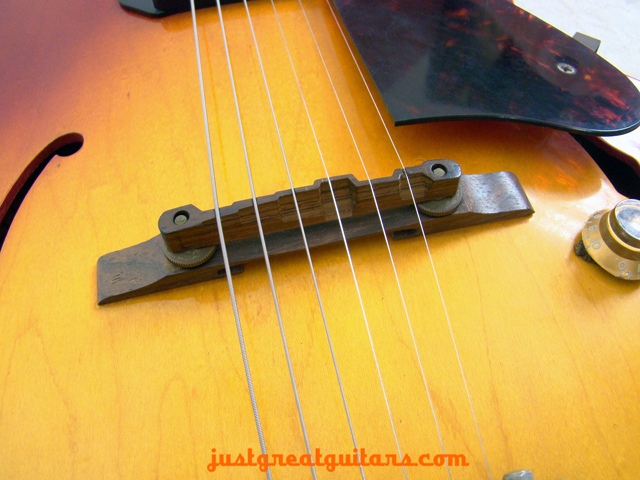 The single black P-90 pickup sounds as clear as a bell and lends itself very well to articulate chord work and rhythm playing. 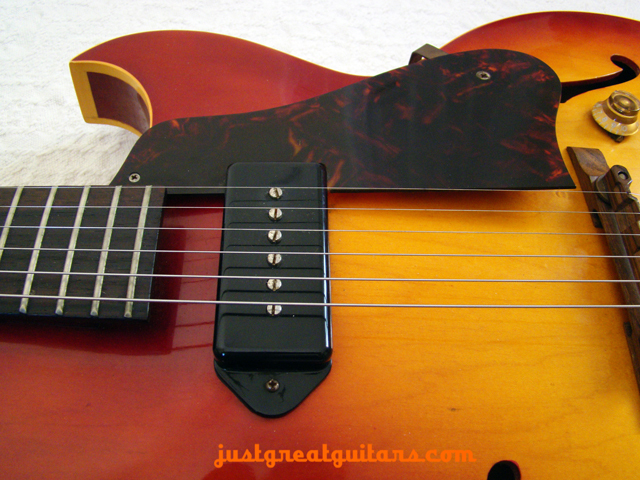 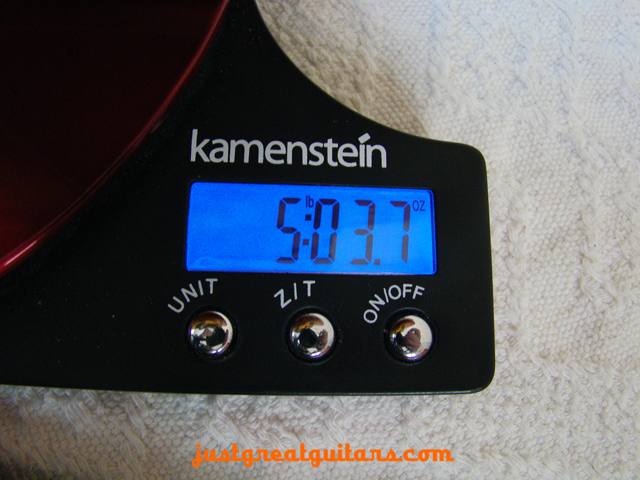 Soloists will enjoy this pickup just as much and single line playing has a rich and detailed quality that you just can’t get with anything other than a P-90. 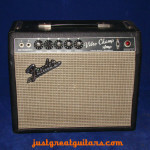 Clean or overdriven it just sings. 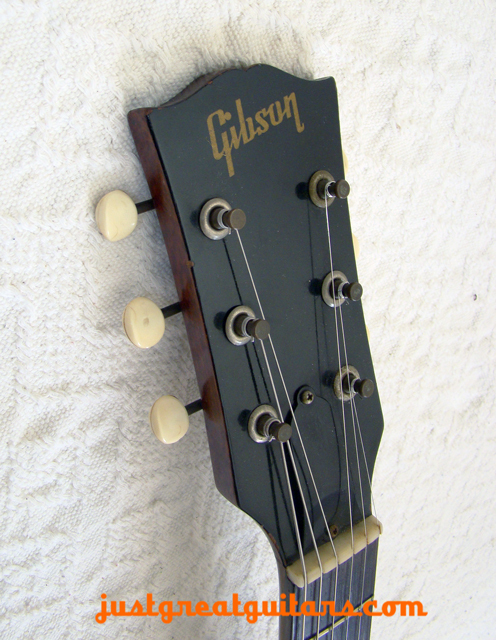 A little history: Gibson introduced the ES-125 in 1938 as the ES-100, later renaming it as the ES-125 in 1941. 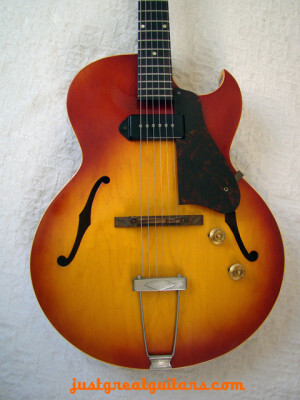 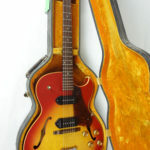 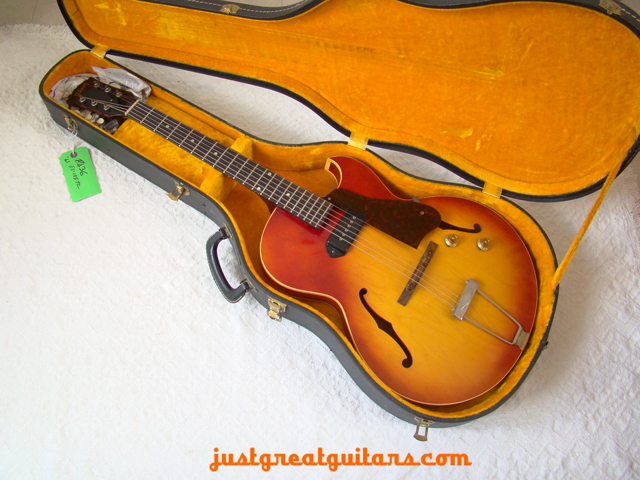 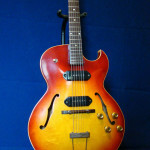 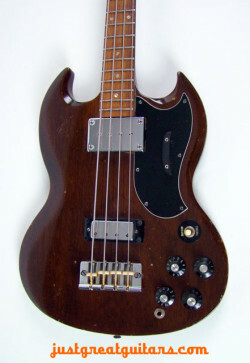 The thinline version of the guitar was brought into production in 1956, with the cutaway model finally appearing in 1960.